"AUSTRIA-PARTNER" Real Estate group has been developed to help businesses, family members, clubs, societies and individuals to have their own real estate in Kitzbuhel and also in the vicinity of the City of Kitzbuhel. 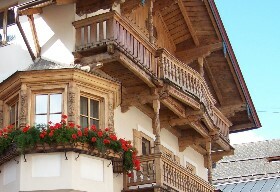 AUSTRIA-PARTNER is one of the leaders in the real estate market. Specializing in first-class Austrian Real Estates, "AUSTRIA-PARTNER" have the best proposals in all lands of Austria. We can offer exclusive villas, excellent castles, country and farm houses, single-family and multiple-family apartments, waterfront property, townhouses, residential apartments, building lots, luxury Hotels, cosy pensions, business and industry real estate for any requirements and budgets. We render premium services in the real estate market. You can always order to us any real estate in Austria and we will offer to you the best proposals on your choice.